Peekaboo is one of Spot's favourite games. Where are all his friends hiding? Lift the flaps to join in the peek-a-boo fun! This sturdy book contains a panel with 5 sounds for children to enjoy listening to as they read the book. 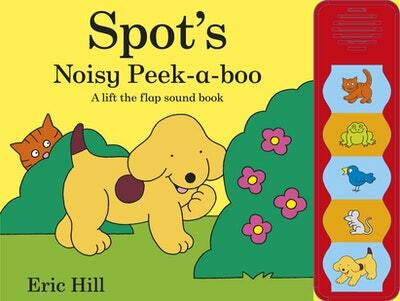 There are also 5 really big flaps for children to lift as they play a game of hide and seek with Spot. Love Spot's Noisy Peek-A-Boo? Subscribe to Read More to find out about similar books.